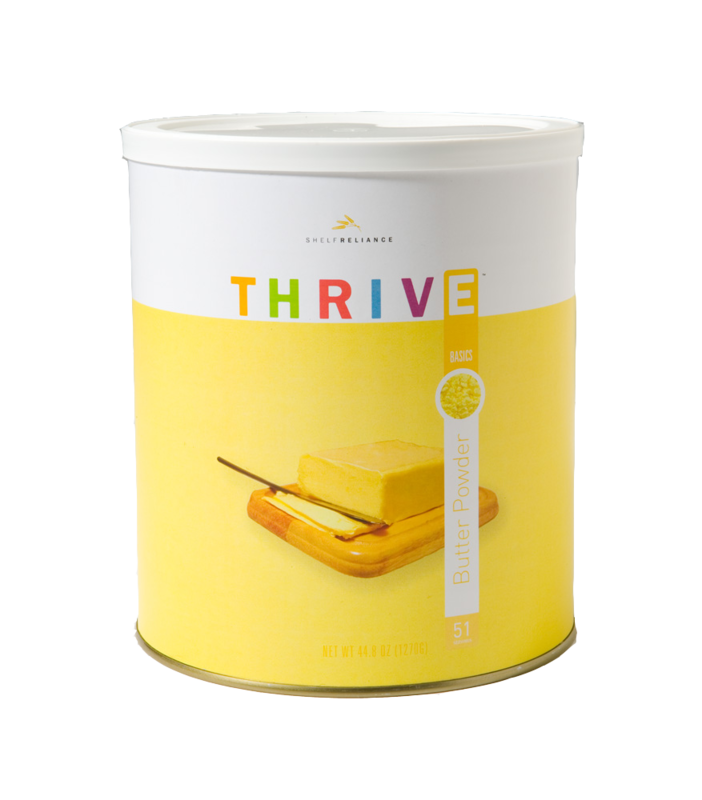 Thrive Butter Powder can be used to replace regular butter in almost any recipe. It is also a great substitute for oily, fatty butter on popcorn and other salty snacks. Add small amounts of water to Butter Powder until desired consistency is reached. This product is best used for baking, where it can be added to breads, cookies, cakes and more with a little water. If using it as a spread, it's best to add a small amount of vegetable oil to get the right consistency. Sprinkle it over veggies or into mashed potatoes or soups to add a light buttery taste.